Be sure to leave the rim if you want to experience a crowd-free Grand Canyon. Photo: Mike Buchheit. The Rim of the Grand Canyon. 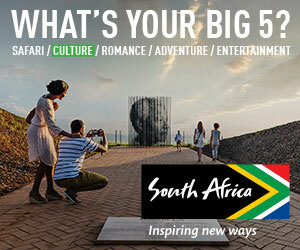 The Rim is just the beginning of the experience, yet the majority of visitors don’t get beyond it. They don’t actually step into the canyon. You can leave the crowds behind simply by walking down into it just a bit. We highly recommend that people view it by foot, mule, or helicopter. The North Rim of the Grand Canyon. It sits a mile higher than the South Rim and is much more secluded (though easily accessible for those coming from Zion or Bryce Canyon national parks). Sign up for a mule ride with the Magnum family, which has been operating there for more than 20 years. 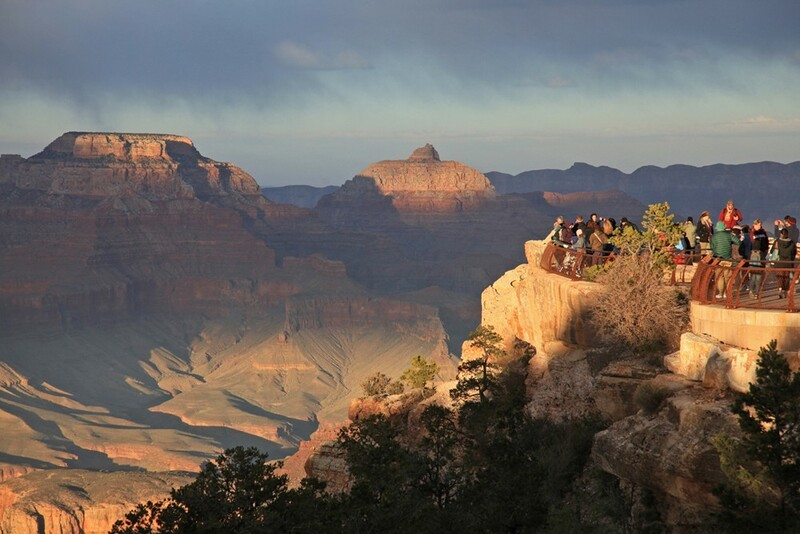 The North Rim is open from May 15 through October 15. 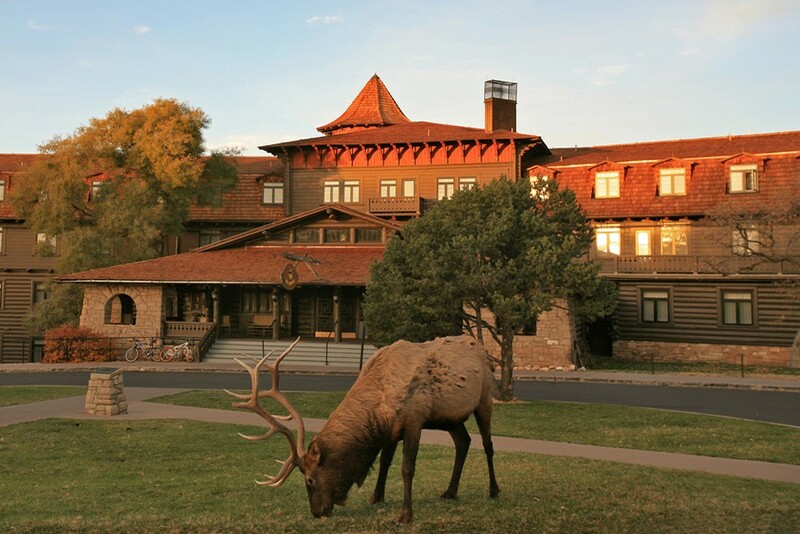 The Grand Canyon North Rim Lodge is a basic, three-star property that sells out quickly; better options lie in Kanab, Utah, a 90-minute drive away. Often referred to as the Hawaii of Arizona, Havasu Falls is a hidden jewel, not just of the Grand Canyon but of all of Arizona. You can reach the Falls via a moderate ten-mile hike, by mule, or by helicopter—and you can choose different options for each direction. Hikers need only carry a daypack; mules will carry the rest of your gear and food, getting you to a part of the canyon that is far from the South Rim crowds. Any day can be a “lazy Sunday” in one of the parks: Pick an easy hike and bring a picnic lunch. Walk slower than usual, really taking in the sights, sounds, and smells around you. Focus on the small things that you might otherwise overlook (a tiny flower, a small rock with great markings). And give thanks to the founders of our great national parks system. Take the Grand Canyon Railway from Williams, Arizona, to the South Rim, through Ponderosa pine forest and flat prairie; kids love the staged Wild West shoot-out that takes place onboard. Stop at the historic Cameron Trading Post (20 miles from the South Rim) for a Navajo taco—Navajo fry bread topped with lettuce, cheese, tomatoes, beans, and beef—and a prickly-pear lemonade. Fry bread is not an ancient Navajo recipe, but an amalgam of the ingredients given to Native Americans by the U.S. government while they were being relocated in the 19th century. The El Tovar Dining Room, inside the historic El Tovar Hotel, offers close-up views of the Canyon, excellent service, and a large menu. Try the salmon tostada. 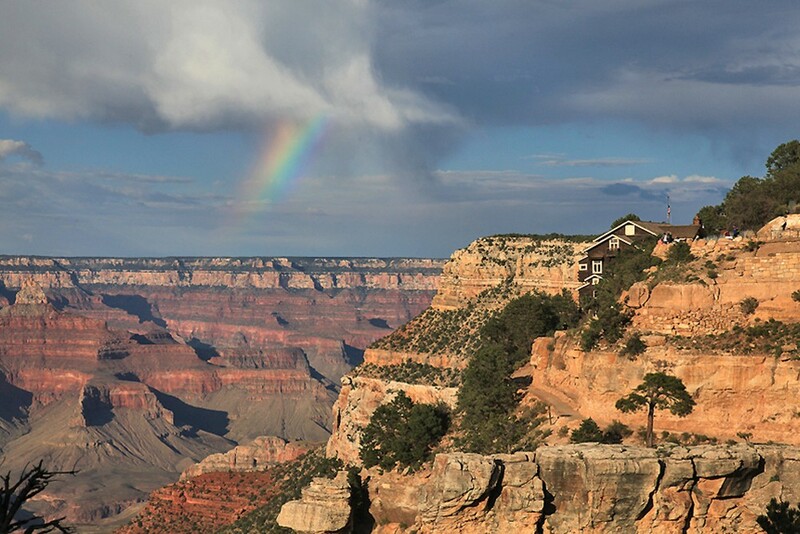 After Labor Day, the Grand Canyon gets much quieter, and prices fall from the highs of summer. Visitor services at the North Rim close on October 15; the South Rim is open year-round, and the weather is pleasant into early November. July and August see very high temperatures and large crowds. December to early March are beautiful, but the snow and sometimes very low temperatures are a turn-off for some, particularly families with young children. Succumbing to dehydration and altitude sickness. Drink water throughout the day, and seek shade whenever possible. Rushing your visit. Don’t drive all the way to the Grand Canyon simply to spend a few minutes on the South Rim looking over the edge and taking the same photo as everyone else in the crowd, only to get back in your car and drive off. 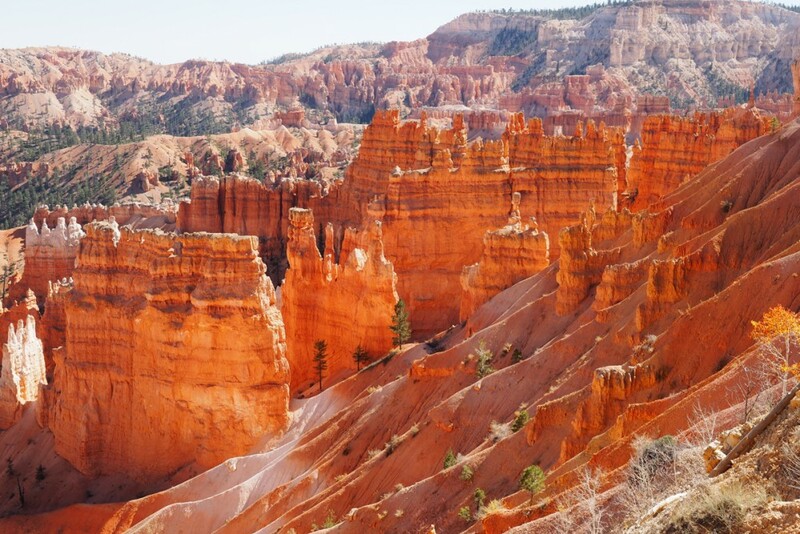 Give yourself at least a full day to explore the canyon’s history and geology. Mooney Falls and Havasu Falls are technically not in the national park but, rather, on the Havasupai Indian Reservation; what these waterfalls lack in height, they make up for in beauty. 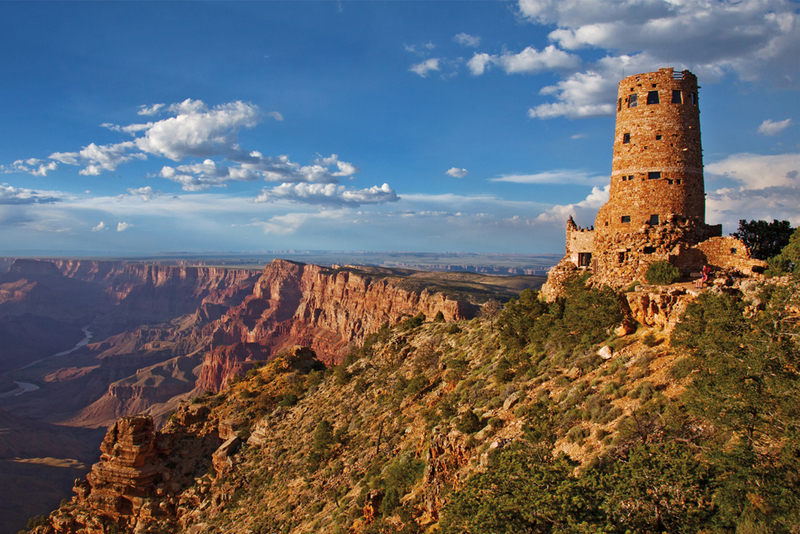 From the stone watchtower at the eastern end of the South Rim—inspired by Anasazi watchtowers—you’ll get the widest, picture-perfect view of the Grand Canyon. 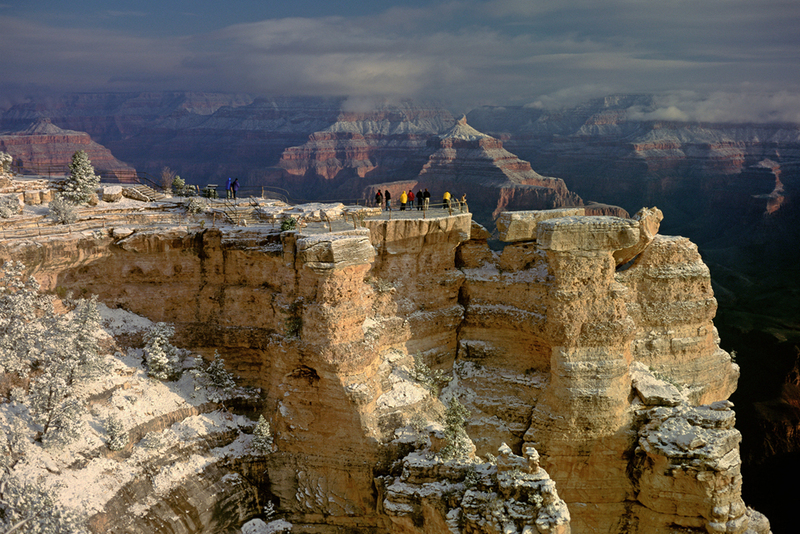 The Cape Final Trail is an easy four-mile round-trip from the North Rim, with a spectacular viewpoint. Local artists come to the Cameron Trading Post to sell their handmade, one-of-a-kind jewelry (lots of silver and turquoise, as you’d expect), baskets, and rugs. Bring cash so you can participate in some good-natured haggling. With limited cell-phone coverage near the Canyon, it’s wise to print your directions and hotel confirmations before your trip. 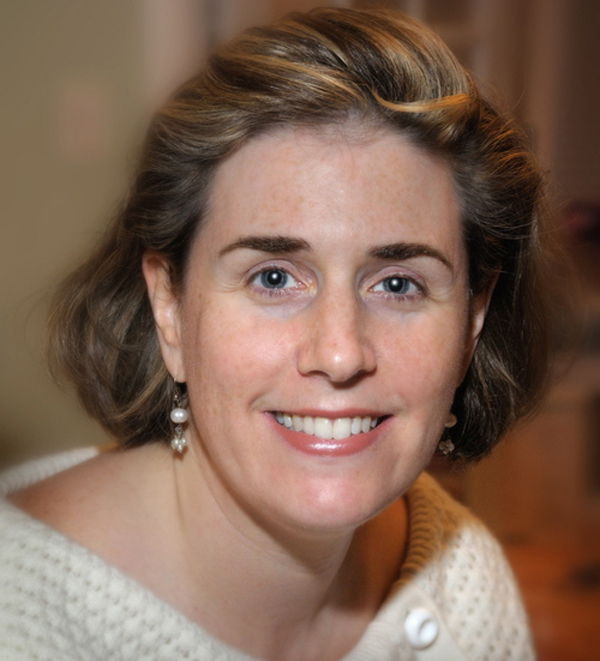 Don’t depend on plastic: Many of the area’s businesses are seasonal and/or small, family-owned operations, so they are not set up to take credit cards, and ATMs aren’t widely available. Trading posts typically accept Visa and MasterCard, but not American Express. Electrolyte mix and a star map. The electrolyte mix is great to keep children drinking water; the map helps you find constellations in the unpolluted night sky.